So let’s talk about making money online by doing what we do everyday and that’s shop online with a win-win twist using Ebates which seems to be the diamond (yep, it’s up there with Amazon people) in that conversation. With that said, if there’s one thing that I really enjoy about blogging is the ability to take a topic that you wouldn’t think correlates to blogging (in some aspect or niche) when it really does in all actuality. There are so many topics that intersect when it comes to the blogging community in one way or another either directly or indirectly because you can absolutely blog about anything you want and connect it to your niche. While on this blog we definitely talk about the all important topic of making money. Beyond that we also delve into SEO, general blogging tips, traffic, content generation and writing itself among other relevant topics. As the primary provider of content here I’m very focused on developing content for an eager and relevant audience and I know it’s critically important to always remember that with each post I write the goal is to hopefully put information out there that can be applicable to other niches beyond the Candid Writer blogging website too. With that said and knowing the holidays are coming it means spending time with family. It also means a host of different things, particularly transitioning into the shopping mindset and that’s what we’re going to connect with today. At first glance you may think that this would align more with shopping bloggers (Shopular would be a great fit) and you might be right to some degree but for those aspiring bloggers, what I’m going to talk about will also be something that you can connect to with a little creativity and it won’t take much work at all. We all know that finding a product to market, that pays a decent commission and aligns to your content and audience all in one neat package is NOT an easy task. The alternative is to develop your own product and the sad sad reality is that no matter how often you hear that it’s not that hard to do it, no one really wants to fool around with that anyway. It’s akin to telling a small child that broccoli tastes great and no matter how convincing you try to make that statement true to a 5 year old, they aren’t going to believe you. So as I mentioned Ebates before that’s what we’re going to get into. Because it’s time to get real about this overly debated mindset that it’s hard to make money online. That it’s only the big boys that are capable of doing this. That you have to have bucketloads of traffic to do so. For the purposes of this post, we aren’t quantifying making money goals like making thousands of dollars. However, there isn’t a blogger alive or any other person for that matter that doesn’t want a way to make a dollar without feeling like they had to work hard to do it. We’re already working hard as it is so why add even more to our plates ? We’re all pretty much the same in that regard from that perspective. We want to make money and we want to do it the easy way as long as it’s legal and folks it doesn’t get much easier than this. The reality for you, me and everyone we know.. Your family is a consumer. Every niche on the planet is a consumer. It doesn’t matter what you do, or who you are. This is an unavoidable truth. That’s not so bad though because consumption = dollars and cents for you in this conversation and Ebates is the road, the answer and the solution to making some money the easy way. Now don’t get me wrong, you aren’t going to get rich. I’m not going to embellish this post with such falsehoods, but I can tell you this that if I’m a blogger looking to buy a domain, I would log in through Ebates and search for Godaddy, make my purchase and enjoy what is currently (well you’ll just have to head on over there to find out) percent cash back on something that I absolutely need anyway. Let’s take another very relevant and simple example and say that you’re a business owner in need of promotional materials like business cards to take to an upcoming event. Most people know Vistaprint. I’ve used them as well and love the quality of their cards. Log in to Ebates, search for Vistaprint and see what kind of cashback you can get just for purchasing through the Ebates website. Another example, let’s say that you’re a vlogger and need a camera for your setup or podcasting session. I am NOT one to pay retail for anything so in this instance I would log in again to Ebates, search for Ebay and then purchase through that portal and enjoy not only the Ebay bucks for the purchase, but the cashback from Ebates just because I made the purchase through them. Additionally, if you’ve incorporated your business, you are also writing that item off at the end of the year because it’s now an asset for your business. Likely at this point, either this is getting your mind turning with respect to curiosity as to how you can connect this to purchases that you will likely have to make but maybe you’re not convinced yet because you don’t know in the examples I’ve provided whether their inventory would match your needs. Note that Amazon is also part of this marketplace as well which opens up a legion of other products at your disposal that you either consume already or will need. What has been your biggest obstacle in blogging with respect to making money online ? Does it all boil down to not having enough traffic ? Are you promoting the wrong products ? Are you suffering from a lack of advertisers wanting to work with you ? Is there a lot of inconsistency in your earnings online ? Have you just settled on the reality that making money online is hard and just not for you ? There aren’t many things that I would ever guarantee, but as I’ve said before you’re a consumer and that activity alone will guarantee that you’ll earn with Ebates. 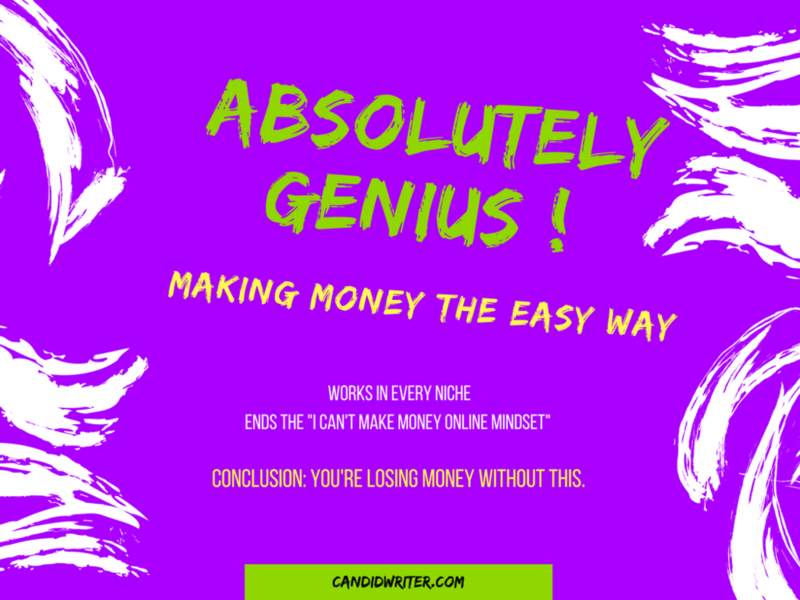 Making money online doesn’t get easier than this and it’s the solution to overcoming some of the most basic problems and the “it’ll never work for me” mindset that people have in this conversation. Start an account with Ebates. Ultimately, it’s your choice, but I promise you that you’re losing dollars and cents without it. Consider this as well that one referral from Ebates currently (commissions vary throughout the year $15-$25) means $15 for you and $10 for the person referred on top of the bonuses that are rewarded for additional referrals and there's no cap ! I can't stress enough how good this is if you are looking to monetize your content, your list or just share this golden nugget with your visitors or friends. As the title of this post says.. I made $50 in just ebates referrals in 2 days and you can bet that I'm going to keep sharing this with everyone I know. This is good stuff folks ! Please subscribe and share if you enjoyed it and I’ll see you around in the next post.